Oral allergies are no fun. Dealing with inflamed gums or irritation can be very distracting, so wondering about allergies to orthodontic or dental treatments makes sense. If you’re looking into Invisalign and are worried about allergies, the good news is that an allergic reaction is quite uncommon. Learn more about what causes an Invisalign allergic reaction so you can talk to our dentists about your concerns and have a positive Invisalign experience. Invisalign is an almost-invisible technique used to straighten teeth. A series of clear plastic aligners hold and exert mild pressure on your teeth without being visible. Because they’re removable, they also offer more convenience and comfort than traditional braces. Because they’re made from a special plastic, some people worry about having an allergic reaction to Invisalign aligners. Though an allergy is very unlikely, it isn’t impossible. Because Invisalign isn’t cheap, you don’t want to get aligners only to discover that you’re allergic to them. Thankfully, you can both test for the allergy before you get aligners, and address an allergy if you already have aligners. The key component is communicating with your dentists. You can test for an Invisalign allergy before you get the aligners. Our dentist will give you a piece of the plastic, which you can tape to your skin. If your skin doesn’t react, you won’t have a problem with an allergy and can safely and comfortably proceed with Invisalign. Unfortunately, some people don’t realize they have an allergy to Invisalign until after spending the money to begin treatment. If this has happened to you, don’t despair. Visit our dentist to assess the severity of your reaction. For most people, the allergic reaction is mild enough that they can continue using Invisalign. After all, you spent money on the aligners and want straighter teeth. 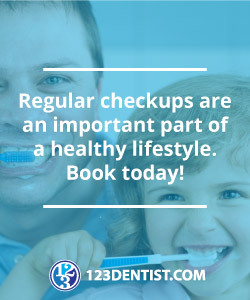 Along with drinking lots of cold water throughout the day, more frequent teeth cleanings can help alleviate allergy symptoms. Continue to communicate with our dentist about your allergy symptoms to ensure none of them are progressing to a dangerous degree. The possibility that you experience an allergic reaction severe enough to send you to the hospital is very small, but you always want to keep an eye on your symptoms in case they get worse. Typically, if you have a food allergy, you learn about it in childhood and know to avoid those foods as a teen or an adult. However, even the most careful people sometimes accidentally ingest food allergens. Sometimes, you might put your aligners back in before you realize you ingested the food, and trace amounts of the food could get on the aligner. For the most part, all you have to do is clean your aligners. Such a small amount of your allergen food would get on your aligners simply from contact with your mouth that a soak in baking soda and water should be enough to clean them thoroughly. Because the aligners barely touch your gums, the chances of you absorbing your allergen from your aligners through your gums are low. In cases of severe allergies, like with nuts, you may want to come back to your dentist and get the next aligner instead of risking exposure to your allergen. If your allergen came directly into contact with your aligner (like peanut sauce somehow getting on your aligner) you should go get the next aligner, just to be safe. People with dry mouth who don’t naturally produce enough saliva might experience oral irritation while wearing Invisalign. The irritation could present like an allergic reaction, when really, it’s an issue with your saliva production and having a foreign object in your mouth for hours at a time. Talk to our dentist if you think you’re having an allergic reaction to your Invisalign trays, because it may be an issue with your saliva production instead. The dentist will have recommendations to treat the irritation issue. 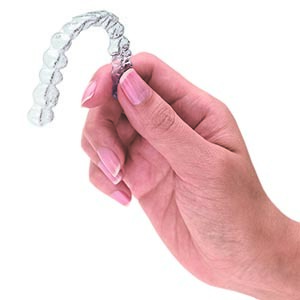 Invisalign is a popular and convenient way to get straighter teeth that rarely causes any allergic reactions. The best way to address any issues with Invisalign is to see our dentist immediately. In most cases, you can partially alleviate your symptoms and continue using your aligners. Proceed with confidence by having regular conversations with our dentist and monitoring your allergic reaction.